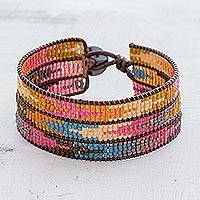 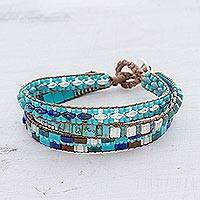 Capture the soul of the clouds with this wristband bracelet from Guatemala. 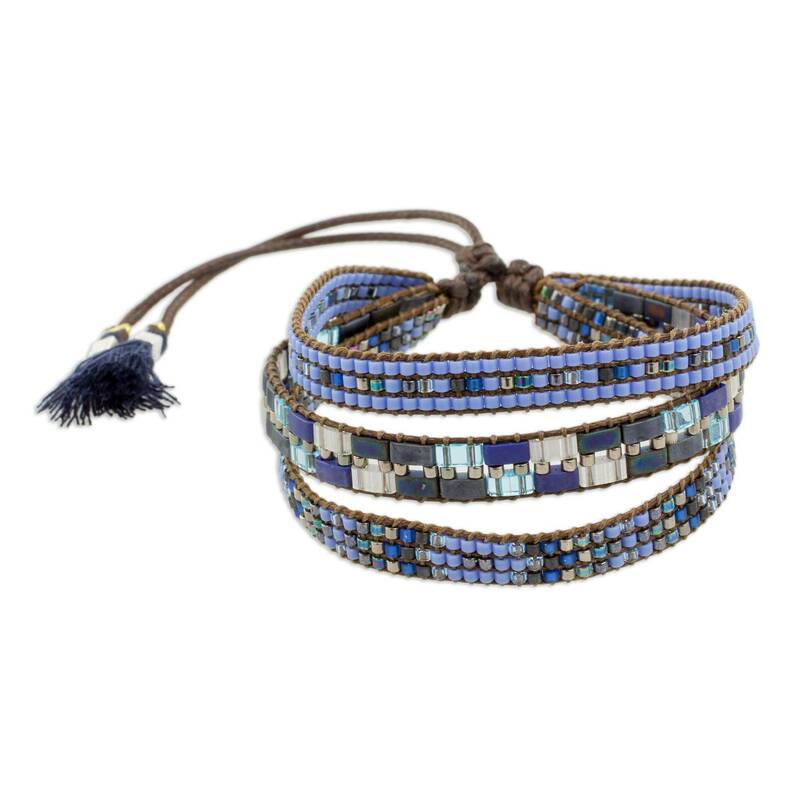 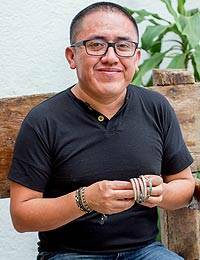 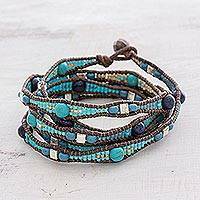 Designed by Cristóbal Ramírez, the bracelet features petite glass beads in tones of blue, grey, and silver, meticulously strung along three lengths of nylon cord that circle the wrist. 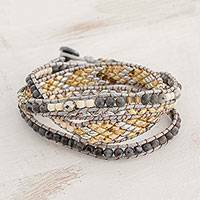 Finished with tassels and pewter and brass accents, this amazing bracelet adjusts to fit the wrist.